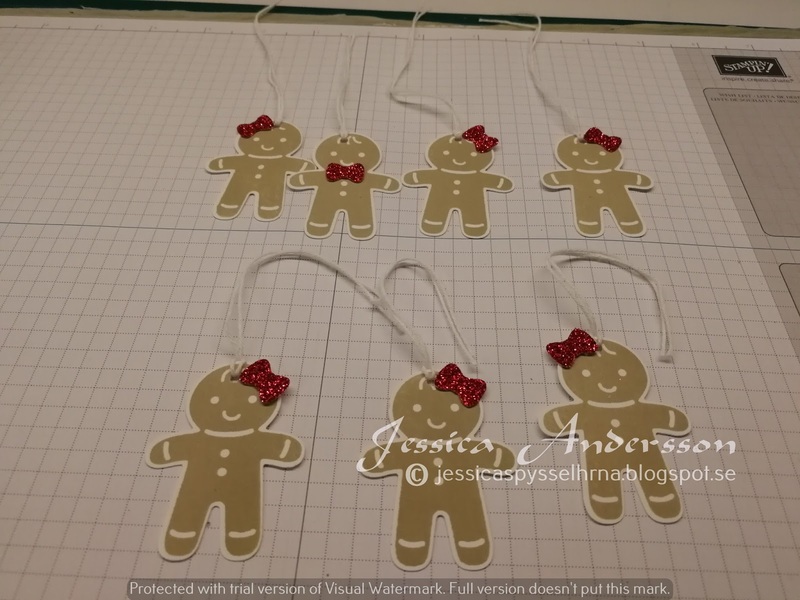 Well I am back today with some tags I made for some of the Christmas gifts we are giving away this year to family. I used my stamp set called cookie-cutter Christmas. 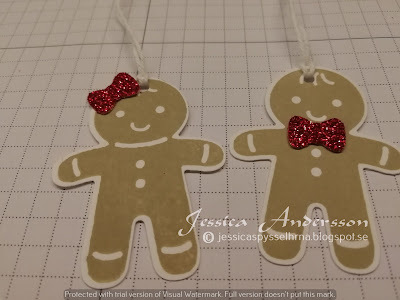 I stamped the gingerbread-cookie with crumb cake ink and then I added a bow in red glitter paper. 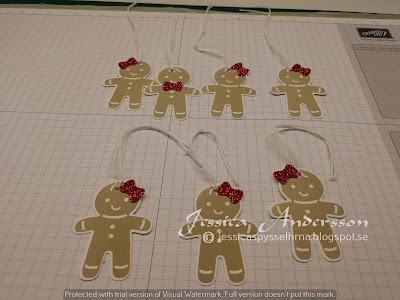 Added som white bakers twine and they ready to be placed on the Christmas gifts. Have a Merry Christmas and thank you for visiting!